Planting InstructionsDig a hole large enough to spread out roots without bending them. Firm well and water in thoroughly. Winter CareMound up soil or mulch over the base of the rose in northern climates. Flower FormLarge ruffled, shapely blooms. 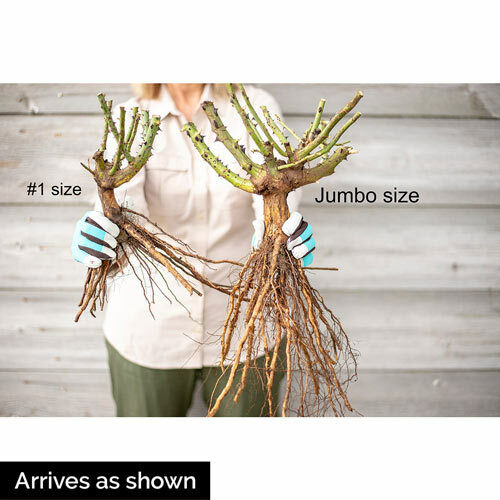 PruningFollow correct pruning of roses. Cut back below the first five-leaflet. After flowering or to shape anytime. 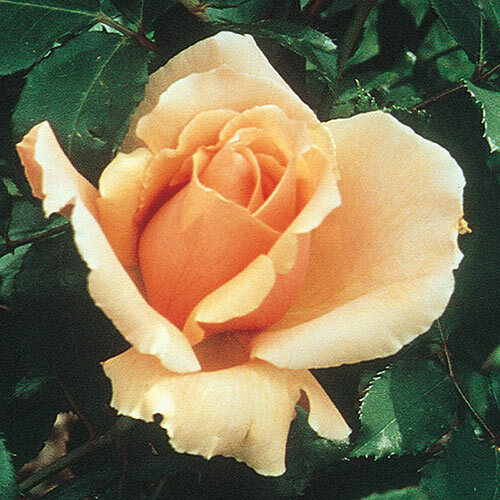 Unique Characterstics-Big brandy-colored buds -Large apricot blooms -Fruity fragrance -Huge glossy green leaves -Deepest color in moderate, consistent temperatures.